Well, in case you missed it (and I think you were supposed to) the Government's just made it a whole lot easier for degree-level students to come and work in New Zealand and presumably to make their way toward residency if they want. To say what the Government is now proposing differs from what it was promising in the build up to the election is to say nothing. Labour will stop issuing student visas for courses below a bachelor’s degree which are not independently assessed by the TEC and NZQA to be of high quality. Labour will also limit the ability to work while studying to international students studying at Bachelor-level or higher. For those below that level, their course will have to have the ability to work approved as part of the course. Well, there's no mention of the first bit in the proposed new policy, while as for the second bit - all students are still going to be allowed to work during their course, continuing on from the changes National made in 2013 and which opened the immigration floodgates. But there's more. In effect the new measures announced during the long holiday weekend (when people might have been bothering with other things and been looking elsewhere) retain the status quo of a one-year work visa for people coming here to do 'soft' sub-degree courses. However, the new measures now triple the time that degree-level students can work 'no-strings-attached' from one year to three years. What's been removed is the two-year employer-sponsored part of the deal, which used to apply to both degree level and non-degree level course, and which has been undoubtedly used by unscrupulous employers to exploit people keen to get into New Zealand and stay. The Government has also said that one-year (30-week) courses at post-graduate level will also no longer qualify for the work visa - though you have to think there would have been few people in that category anyway. I think it is great the Government's getting rid of the employer-sponsored work scheme because there's no doubt it's a pathway way to exploitation. But surely the move to allow open slather for three years in the work force for degree level students will just lead to a redirection of people currently doing those short sub-degree courses into longer degree courses, won't it? The door is still wide open for people coming to New Zealand ostensibly for study to then seek to stay permanently. All these changes entail is an upgrading of what the students have to do - and remember it's now going to be way easier and more attractive, with that open three-year visa - no employer sponsorship, for degree students. It's worth looking at the detail to fully get your head around what's been the situation and what is proposed. To assist, first here's a link to the NZ Qualification Framework, which explains the various levels of qualifications. A two-year 'employer assisted' work visa entitling the student (either degree or sub-degree) to work in a role in the same area as their qualification. What these new measures will likely do is put some private tertiary institutions out of business. Frankly, any institution that has established itself as a business on the basis of offering 'soft' courses that are just a way of getting people into the country probably doesn't deserve to survive. So, I agree with that part of the measures. Why though is it necessary to now offer such a huge carrot with the degree courses? This country should be aspiring to offer high quality tertiary education that attracts the cream of students from around the world - simply for the standard of education that we provide. What's happened is that we have chosen to turn our tertiary education system into a fee-driven way of getting new permanent migrants - no doubt probably cheapening it in the eyes of the highest calibre of international students. These measures the Government's now proposing might make a marginal difference to the 'quality' of people that are being attracted here, but they don't change the basic philosophy that was reinforced under National - that we offer up our tertiary education here as a fee-driven way of getting new migrants. 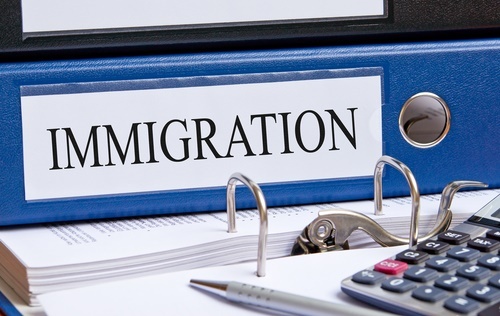 So, what effect will these proposed policies have on the New Zealand immigration figures? Well, that's the interesting bit isn't it. Yes, the new policies make the soft sub-degree courses less attractive as a potential pathway to residency here. Crucially though, these courses have not totally been removed as a potential pathway. Labour indicated it would get rid of post-course work visas for these courses and it hasn't. And it said that such students would not be able to work during these courses - and they can still. And then you get to the new open-slather work visas for three years for people doing degrees. Well, surely that's going to attract more people, isn't it? Will it raise the bar in terms of the quality of people? Well, if various tertiary institutions could think up ways of attracting people here for sub-degree courses as a pathway to residency, surely there will be minds already working to see how by offering longer degree courses they can stay in the game - given that the end prize for the student of the three years unlimited is better than before. So, time will tell, but potentially I think the changes Labour is proposing could INCREASE the number of immigrants. There's certainly a risk of that. This country has linked its tertiary education system to a method of backdoor entry into New Zealand for residency. That should be stopped. We need to be offering top class education that stands on its own merits. Australia has half a dozen universities ranked in the top 80 in the world, we have one - Auckland (and it's been slipping) in the top 200. We are degrading the value of the tertiary education we are offering while making it too easy for backdoor immigration. What does Labour Supporters have to say now. Actually, I think Labout have been quite clever here in terms of attracting more ambitious students. What they have done is remove the potential for foreigners to come to NZ purely using education as a smokescreen to work through enrolling in dodgy education institutions. If you're enrolled in university and working 40+ hours per week, chances are that you won't pass many papers if any. I agree. And I'll believe it (the policy) is working once we start to see all those dodgy provider/exploiters being wound up and closed. I don't think it will make much material difference at all to int'l tertiary enrollment numbers at our universities. I don't see much in the proposed changes to improve the skill mix of international students as expected but a good start to a much needed systemic overhaul nevertheless. Of course they will pass their papers. You dont even have to turn up to University these days. You can cheat on exams and plagiarise essays and the Universities will turn a blind eye - they are only concerned with the fees. So long as foreign students keep paying, Universities will keep passing them. And I can't imagine any student sitting an exam in NZ finding a way to cheat - so do enlighten me on the methods you are familiar with! And I've never been under any kind of pressure to pass any student that did not earn that pass, be they local or international. You guys are brutal: I got an F on my new theory I'm calling General Relativity. try to beat turnitin - I think you'll be shocked at how easy it is. Take the sentence and run it into google, manipulate the wording until the hit count goes down, after your confident enough - submit the assessment - alot of the students can beat turnitin without having direct access to 'turn-it-in'. I know of people who will beat it for them for a price. Cheating like that might work for one or two assignments over the course of a year. In my case, all written assignments differ every year. For example, the overall task might not change, but the case study that the analysis is applied to does - rendering previous years' analyses worthless. In other instances, I set an entirely new assessment. I'd imagine that when you are doing 3-4 papers/courses per semester, you'd never mange to cheat your way through all of them. And if you're really that bad that you have to cheat to pass an internal written assignment/assessment - you won't pass the final exam, if there is one, anyway. Well that's my view anyway. And moreover, the vast majority of the students I teach really are there to genuinely learn. There are people in Auckland who do this kind of thing commercially? Assignments, projects, plagerisations that defeat turn-it-in, just jump on Freelancer and issue a contract on an assessment? Send links - I'll see they are shut down :-). do a search on current contracts for ghost written phd thesis? even a bit sad on the obvious pay for papers ones https://www.freelancer.co.nz/jobs/regions/?keyword=phd but still obscure enough you could not pick user or details on institution. (Note keyword was used for skills demonstrated & content brief in filter not jobs for phds in case that looks confusing). I think he did well with the data plot. So I was expecting a link to a name(s) of those in Auckland - preferably with physical address for the businesses and/or individual. As I said, send the specifics of those person(s) resident in Auckland, NZ and I'll get onto reporting them to the appropriate authorities. A link to the specific profile of a person operating in NZ providing academic ghostwriting services on that site would be fine. Are you having some problems with censoring this site? I briefly looked through those offering 'ghostwriter' services - they were all from India. Naive much you are Kate. Do you really think they will provide locations easily. Not naive at all. But nig offered to dob in the Auckland domiciled offenders by providing links to actual individuals (I thought). This is just a wind up - everyone in the system knows that cheating is rampant and everyone knows about sites assisting students with assessments for money. The TEU had a number of staff members go the the press a few years ago express their stories to the wider public. For someone in the system to say they have no knowledge of the cheating mechanisms is just a wind up. Why do they need to be in Auckland to offer a paper writing service? How very last century. Clearly Kate doesnt understand how the Internet and global economy works! I could offer my services to write a paper in a subject that is the same world over, to anyone at any University. Maths is maths, English is English, Art is Art. There would be very few subjects that would actually have different content based on the location of the University. You simply pay someone to write an essay for you. Or pay someone to sit the exam for you. A friend of mine just this week wanted to go out partying so she had her boyfriend write the paper that had to be submitted the next day. The quality of learning is so low these days that practically anyone can write anything, and it gets a pass. Another friend also lectures, and regularly has no one turn up to class. She marks their exams, and fails them, only for them to be "adjusted" to a pass afterwards. And if you've never been under pressure to pass a foreign student, then you must be one of the exceedingly rare lecturers, or maybe your course is already so dumbed down that its impossible to fail even by foreign students. A few go so far as to stalk their technical lecturers in private. A bit too eager some might say. Yes, I had seen that article - the contrary view given in there by a student would align more to my experience. I work at a university and can only provide an honest account of my personal experience over the past 10+ years. And yes, I have experience of detecting and reporting suspected plagiarism which was appropriately investigated and actioned; and yes, I have failed students; others have withdrawn from the course or opted for a DNC on their academic record. A big part of our responsibilities with respect to pastoral care for our students is to identify weaknesses early on and to work with students through to either a satisfactory completion, based on demonstrated ability, or to advise them of other options to explore. This is the essence, to my mind, of good teaching practice. And, no, the courses I teach and have taught are the opposite of "dumbed down", they are both theoretically and technically challenging - and again, my experience of most students is that they are enthusiastic and committed to understanding the new knowledge that they are being exposed to. The content of that article does concern me, but it just isn't and hasn't ever been a part of my employment experience. PS - after many years in teaching, it is pretty easy to spot the assignments that get written the day before they are due! If one can successfully manage that (meaning, do that and pass), then the assignment itself hasn't been thoughtfully set. Re attendance. Where I teach as the course coordinator, I request that students email me prior to a lecture if they are going to be absent. I take a roll for the first three weeks of the semester. Those students who fail to do that and are absent, get an email follow up from me. I find that by communicating reasonable expectations up front, most students respond appropriately - and hence, learn better. As a lecturer you have an obligation to motivate and enthuse - i.e., make the material relevant to the potential career paths/jobs out there in the real world, and the class time useful and interesting. I didn't vote Labour, but let's ask the real question: How much of our immigration volume increase came through the university degree stream rather than the Pretend Tertiary Education (PTE) sector? As far as I've seen, it has been the allowing of the PTE sector to flourish with little to no oversight that has added the bulk of the volume - and too much of it fraudulent. And I know plenty of people who have come through the sector and even worked in it, and are disgusted by it. I am absolutely for holding this government to account and demanding it deliver (something people should have applied more to National too), but I'm against bovine excrement. On a related note, if we were to demand real standards and delivery from the PTE sector the volume through it would likely drop preciptiously, and the universities would likely benefit from this (increased demand for real tertiary education). As you can see the massive growth was in PTEs (unfunded) - with PTEs (funded) and ITPs also seeing huge growth in numbers between 2013 and 2015. The University sector is growing but in a more consistent way (i.e., less affected by student work visa policy changes). So I think you are right that the problem has been allowing of the PTE sector to flourish with little to no oversight that has added the bulk of the volume - and too much of it fraudulent..
Can someone tell me what level 7 degree is? Does it compare to a university degree? Thanks, I have just added the same link into the article. If one is so confiedent about the quality of education system, why does one need a bait as is known to everyone that All (not Most) are comming to study in NZ - to get Residency. Labour government too is aware but no one can act to stop this scam. As they have won on this promise cannot back off so will tweek a little bit (Though is still not bad as so many dddgy institutes should be shut and will be shut) but still not full action as required by Labour. Exploitation will not stop only the shape and contend will change. This goes a long way to ensuring a minimum standard of intention. Most of the ulterior motivated students and ratbags do not stand a chance of getting into university, particularly based on the language requirements. Entirely depends on who is offering it and education has always been like that. As an acqaintance said, if you are going to do a bad qual do it at a good university. It's one level above level 6. We need to be offering top class education that stands on its own merits. I think that's a far too simplistic view. As I understand it, tertiary educational institutes in many of those higher ranking institutions (i.e., those 'top class' as you refer to them), get huge monetary support for their academics (i.e., sponsoring of Chairs; sponsoring of research, etc.) from their local private sector industries. In fact, so much so, many believe it threatens academic independence. Whether that is/isn't the case, isn't the issue here. 'Top class' in terms of the rankings you refer to relate principally to the breadth, depth and quality of research outputs. Research is costly, and being the small, largely agrarian economy that we are, we simply cannot match the funding sources for the conduct of research that is available to our higher ranking OECD counterparts. We do extremely well as it stands. None of our Universities rank in global standings. And the degree quality from them has deteriorated significantly since they started to sell degrees to foreign students who can barely speak English. I feel sorry for the local kids who take on massive student loans, to get a degree that isnt worth the paper its printed on, and which is considered pretty much worthless by any overseas based employer. Any parents out there would be better off starting college funds for their kids, and paying for them to go to a good US or UK University. Your sweeping generalisations just don't match my experience. Our local students are generally (but not always) more skilled with respect to written assignments in comparison to their US (exchange student) counterparts - in their research skills, data interpretation and critical analysis. The US students are (again generally) better in-class participants when running role play and/or other interactive exercises. There has never been a Nobel Prize awarded to a NZ academic member of faculty for work undertaken at a NZ University. NZ Universities do not rely on international reputation to get their graduate students into the top Universities world wide but rely on bi-lateral agreements. If the rankings slip much further the bi-lateral agreements would be under threat. MacDiarmid won the Nobel Prize for work done at UPEN in the USA not the dis-established University of New Zealand! Look, I know that!!!! :-)! That was my point in saying you were being a bit nit picky. Point is, Prof MacDiarmid was a product of the NZ education system - that is what matters - not where/when a single accolade in a long career of learning, teaching and research was achieved. And as I said elsewhere in this thread, research is expensive. The overseas institutions have far greater support for their academics and research programmes from their local private sectors than NZ could ever wish/aspire to have. Think on it. As a country we are small and very young in int'l terms. Most of the university institutions you are implying that we should be 'equal to' were founded well prior to 1840 when the ToW was signed and institutions (of any sort) began being founded in NZ. Institutional history matters where tertiary education is concerned. As I said before, NZ does very well in the int'l rankings given these factors. Kate - I'm sure you will win one for NZ with one of your 'Internationals' paying 60K+ to 'study' on a 3 year degree while also working towards residency! Given you want to send your kids to Aussie Universities, you'll likely face the same fees if they are not Australian, I assume? In my opinion, it's a moot point really, of little or no practical value, in the context of how favourably or not NZ universities perform in int'l rankings. Those middle class children leaving Uni will need to lower their expectations. Yes, just like the working class kids, graduates will need to be prepared to work for minimum wage or watch all the jobs go to foreign student graduates who aren't fussy about what they have to do to qualify for permanent residency status. Thats forward thinking - delay the introduction of Automated Kiwifruit pickers by pricing them out of the market with Third world labour at Third world wages? The ratbags need residencey and that is a can of worms to be considered with the above. It's as if a degree in American Studies and Art History contributes little. What a mad world we live in! Education, education, education – Tony Blair. Sounds good but where is the evidence? All this credentials inflation to benefit lazy recruitment. Such a waste in time and money for jobs that no longer pay well compared to living costs. There are degrees and then there are degrees. A degree from the University of Auckland for example vs AIT. Yes AIT. Depends on how low the employee is willing to work for. After all in many fields as has already been stated (and yes unfortunately that includes STEM) the degrees have been devalued to the point they are worthless and not a criteria employers look for. Pricing, bias, and youth have far more to do with employment. Degrees just make it easier to bring out the overqualified statement. Even Phds get shown the door these days which they pass through on the way overseas for better countries. I was against National allowing international students get permanent residency but now that Labour are allowing it to continue I’m in full support and my confirmation bias will find any minor difference to justify my support. Actually I was for National doing that . Congratulations to Labour for continuing with it ( did not vote for them , do not care that they broke their promise ). Indian corruption not tolerated, red hot property market gone, only leaves back door to Aus open. If you've got a degree, and worked for 3 years, then aren't you pretty much guaranteed to get permanent residency? So instead of shutting down the residency rort, Labour are actually giving it a government guarantee. I pity the poor local kids that are now going to be competing for University placements and graduate jobs - taking on massive student loans just to see their wages and working conditions plummet due to competition from immigrants desperate to qualify for residency, just like the non-Uni workers have had to put up with over the last few years. If you are non residents and degree and experience are in a skills shortage area the answer is yes, but then so are NZ's. If not immigration insist nz' s are hired by preference. Work visas dont automatcally become residency and skullduggery may be required...fudging work roles to fill a skill shortage. But imigration understand those scams. That is a short answer. There are rumblings about a skill shortage in STEM yet most graduates cannot get work in NZ, even Phd levels with experience have difficulty finding tech roles in their field. The shortage is artificial to drive the wages down, reduce graduate hiring & career training. Real data shows no shortage in the fields, especially IT and engineering. But a lot of NZders who cannot get work locally. Bit of a shame. But you do hear from employers they want more employees to take their lower wages and be easily replaceable (to avoid career development & training junior graduate staff). Well Labour are full of crap aren't they? On the plus side degrees cost significantly more than other qualifications. A quick scan shows $30-$40,000. So that is money in the bank for NZ plus some living costs etc. How do they police the entry requirements for international students? This could be bolstered and audited. Contrary to some comments above degree qualifications are difficult at universities. If the government audits these appropriately they can ensure the people who pass actually learned something. So if you were coming here just for residency I think it would be a bit of a stretch to pass a three year degree and work all hours to pay for it without actually being worthy of being a resident and eventually a citizen of this country. So based on this analysis this could be good policy. The trick is auditing the courses to make sure they are evaluating every student fairly. It will be interesting to see which institutions people choose. We should give people extra years if they study IT or other particularly useful pursuits. There are ways immigrants circumvent that system as well. A guy from India applied for a role at my firm with a L7 diploma from a worthless institute in Auckland. Before applying with us, he had worked at a call centre in Hamilton providing technical support on dysfunctional modems, arranging technician visits etc. This was enough for INZ to him to classify as an IT specialist; since NZ desperately needs people to answer phone calls and read basic solutions out of an online manual, he was issued a permanent visa. His boss at the call centre may not have struggled much to prove that a New Zealander couldn't do the job given the complexity involved. Only one meaningful definition of 'skill' - that is salary. If they pay enough then they want you. Trying to decide what is an IT skill is impossible; that was true when I received residency 15 years ago and more true now. How do you beat the system????? 70,000 more Indians and Filipinos flood the job market much as they do now soaking up low skilled work and ITPs, PTEs and (heavens forbid) Universities lowering the standards of degrees in NZ to accommodate the new third world population. Third world institutes for third world people - way to go labour!!!! NZ residency being sold for paying fees to Universities. What about the students from NZ grammar schools, will they have to compete with these international students for admission ? What is the guarantee that these international students will get jobs in their own fields of study after graduating ? If not, won't they again start working in cheap paying jobs, driving down wages more ? Also, will this not dumb down the quality of education that will be provided by the Universities in future ? Stuff NZ with these kind of policies - I've got a house in Aussie and will send my kids through Australian Universities while the NZ system goes down the tube to the third world! High time we had a binding referendum on immigration of all types, including international students. Winston, are you listening ? Its a bad deal - kiwis aren't going to do well out of it.